The swearing-in ceremony of the 109 marshals, of which 13 women, belonging to the XXI course "Example", was held today at the Viterbo Army NCO. The marshals shouted "LO JURO!" 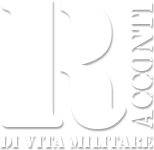 In the presence of the army chief of staff, general of the corps Salvatore Farina, of the Army Commander for Formation, Specialization and Doctrine, general of Giovanni corps. Fungo, of the commander of the Army NCO School, Brigadier General Pietro Addis, and of the main civil, religious and military authorities. The participation of the students' families from all over Italy, who took part in the exciting ceremony, is significant and very felt. The army corps general Salvatore Farina, addressing the student marshals of the XXI course, recalled the solemnity of the oath just given and "The principles of love of country, honor and sense of duty on which the activity of the Army is based and which must guide future non-commissioned officers in serving the country and all citizens". He also underlined how much the "Armed force, today, needs determined Marshals, responsible for their own team, capable of making timely decisions and transmitting enthusiasm to their staff through a wide-ranging professional competence". During the three-year training period, the Army NCO School trains future platoon commanders, a professional figure that embodies both humanistic skills, for a correct management of human resources, and technical skills, for the best use of technological tools, fundamental for the "secure soldier" of the third millennium.